Sanaa — Yemen’s President resigned Thursday night [Jan. 22] shortly after his prime minister and the Cabinet stepped down: …just one day after the government and Houthi rebels struck a tentative peace deal meant to end days of turmoil. The resignations of Yemeni President Abdu Rabu Mansour Hadi and other officials are the latest fallout from the Houthis’ move in recent days to gain power in the capital, which included kidnapping Hadi’s chief of staff on Saturday [Jan. 17] and taking over the presidential palace on Tuesday the 20th. The chaos in Yemen is cause for concern far beyond the country’s borders. For the U.S. and its allies, Yemen’s government has been a key ally in the fight against al Qaeda in the Arabian Peninsula, the Yemen-based group linked to attacks such as the recent slaughter at French magazine Charlie Hebdo. The United States responded by reducing embassy personnel in the capital because of security concerns, a senior State Department official said Thursday night. “While the embassy remains open and is continuing to operate, we may continue to re-align resources based on the situation on the ground,” the official said. 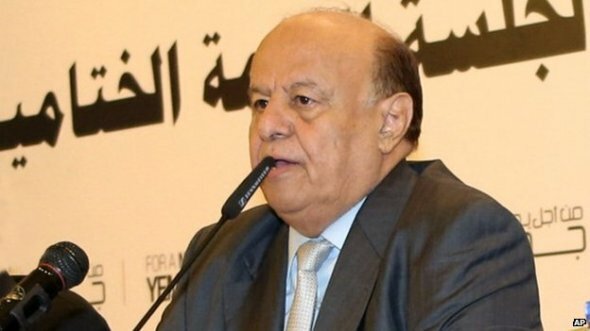 The Cabinet and Prime Minister Khaled Bahah resigned before Hadi did on Thursday night, with Bahah telling Hadi in a letter that they essentially wanted to wash their hands of “destructive political chaos,” an apparent reference to the deal that was to give Houthis more power. We resigned “so that we are not made party to what is going on and what will happen,” Bahah wrote in the letter, which Yemeni Information Minister Nadia Sakkaf posted on Twitter. Hadi’s resignation came soon afterward. It wasn’t immediately clear who would succeed Hadi. The Houthis’ latest push to power then picked up steam on Saturday. The Houthi rebels, Shiite Muslims who have long felt marginalized in the majority Sunni Muslim country, kidnapped presidential Chief of Staff Ahmed bin Mubarak in the capital, Sanaa, on Saturday (Jan. 17). The rebels then took over the presidential palace Tuesday the 20th, prompting talk of a coup. The tentative deal reached Wednesday called for bin Mubarak’s release, as well as measures to give the Houthis more political power, according to a Yemeni official with access to a draft text of the agreement. But by Thursday, before the top officials quit, Sakkaf questioned whether the rebels would live up to their side of the pact. “Ahmed Mubarak is still #Houthis hostage despite deal. They got what they want why should they fulfill their promise?” she said on Twitter. World leaders, including British Prime Minister David Cameron and French President Francois Hollande, gathered in Saudi Arabia over the weekend to pay their respects following the death of King Abdullah on Friday. A U.S. delegation, led by President Barack Obama, arrived on Tuesday (Jan. 27). 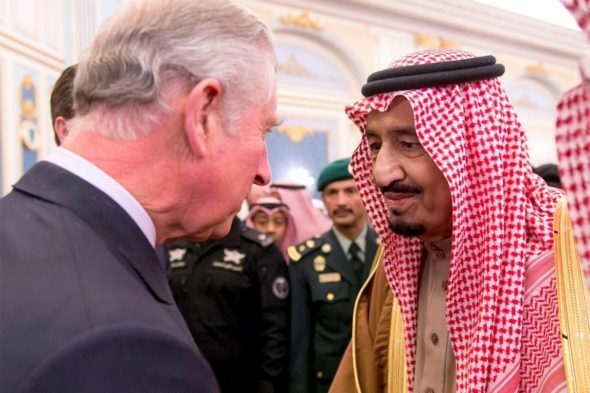 Great Britain’s Prince Charles, left, offers Britain’s condolences to the newly enthroned King Salman in Riyad. The BBC’s Jonny Dymond says the long list of dignitaries travelling to Riyadh is testament to Saudi Arabia’s global standing. Iran is being represented by its Foreign Minister, Mohammad Javad Zarif. The UK’s Prince Charles, King Felipe VI of Spain and Denmark’s Crown Prince Frederik were among the royals offering their condolences. Gulf leaders, Turkey’s President Recep Tayyip Erdogan and Pakistan’s Prime Minister Nawaz Sharif attended the funeral held on the same day. However, human rights groups said Saudi Arabia’s human rights record had been dismal under Abdullah and urged Salman to do more to protect freedom of speech and women’s rights. Amnesty International spokesman Neil Durkin described Abdullah’s human rights legacy as “disastrous,” saying that “endemic torture in police cells and in prisons” remained. Abdullah had suffered frequent bouts of ill health in recent years, and King Salman had recently taken on the ailing monarch’s responsibilities. In Saudi terms, King Abdullah was a reformer, making princes pay their phone bills and giving women their first ever seats in the high-level consultative council. The new King Salman, a staunch conservative, has put paid to any thoughts of radical reforms on his watch with his first speech as monarch. Saudi Arabia faces a number of challenges. The first is ensuring the succession passes smoothly. 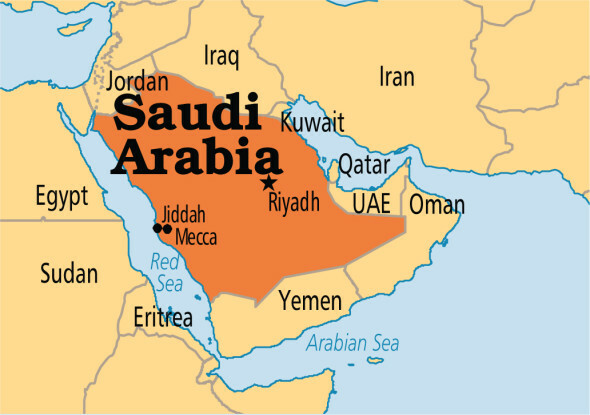 Then there is the ongoing threat from jihadists, both at home and across its borders – Saudi Arabia is sandwiched between the Islamic State (IS) group to the north and al-Qaeda in Yemen to the south. The government has yet to find a way to cope with mild calls for reforms, and is abusing anti-terror laws to silence reformers and punish its critics. Longer term, it faces a growing unemployment problem. About half the population is under 25 and there are not enough meaningful jobs for young Saudis. But the country does at least have oil in its favor. Saudi Arabia is one of the very few exporting countries to still make big margins on production and exploration – putting it in a powerful position on the world stage. Kurdish forces took control of the Syrian town of Kobani on Monday after driving out Islamic State (ISIS) terrorists, a monitoring group said, although Washington said the four-month battle was not yet over. Some Islamic State supporters took to Twitter to say the fight for Kobani, a focal point of the international struggle against the ultra-hardline Islamist group, was still raging. Islamist militants launched an assault on the predominantly Kurdish town last year, using heavy weapons seized in Iraq and forcing tens of thousands of locals into exile. 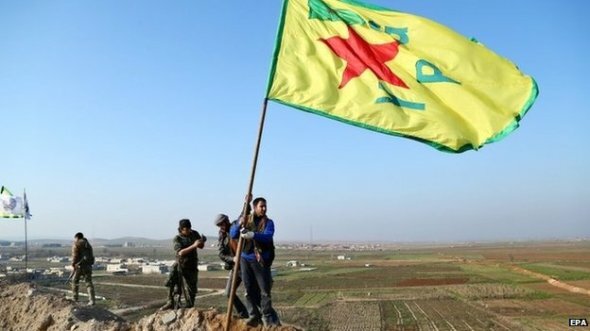 The Britain-based Syrian Observatory for Human Rights said the Syrian Kurdish People’s Protection Units (YPG) had retaken the town, close to the Turkish border, but were proceeding carefully in the eastern outskirts where Islamic State had planted mines before fleeing. “I can see the YPG flag flying over Kobani. There are the sounds of jets flying above,” said Tevfik Kanat, a Turkish Kurd who rushed to the border with hundreds of others, including refugees from Kobani, after hearing about the advance. “People are dancing and singing, there are fireworks. Everyone feels a huge sense of relief,” he said by telephone. The Islamic State still has fighters in hundreds of nearby villages, and called on supporters on Monday to target people in the West with whatever weapons they could lay their hands on. U.S.-led forces have carried out almost daily air strikes on Islamic State positions around the town, a frontline in the battle against the group that has captured expanses of Iraq and Syria and proclaimed an Islamic caliphate. The Pentagon said it could not declare the battle for Kobani over, but said the Kurds had the upper hand. “I am not prepared to say the battle there is won. The battle continues. But as of now, friendly forces … I believe, have the momentum,” said spokesman Colonel Steve Warren. U.S. and coalition forces launched 17 air strikes near Kobani since Sunday, the military said earlier. Months of fighting in Kobani prompted Iraqi Kurdish forces known as peshmerga to travel to Syriato support the YPG after the United States asked Ankara to let them join the battle. The struggle for Kobani is the only publicly declared example of U.S.-led forces closely coordinating militarily with a ground force to battle Islamic State. b) Why is this news of concern to the U.S.? b) How do human rights advocates’ view of King Abdullah differ from that of President Obama, UN head Ban Ki Moon and many other heads of states? b) Does ISIS still have fighters near Kobani? c) How would you describe the Kurdish fighters who were able to drive ISIS terrorists out of their city? It was announced on Monday (Jan. 26) that the U.S. is closing its embassy in Yemen to the public until further notice amid political turmoil after the government resigned under pressure from the Houthi rebel movement. The situation on the ground has remained fluid and chaotic, other U.S. officials have said. The White House has said it is committed to continuing its close cooperation with Yemen against al Qaeda and at least some operations appeared to be continuing. Three U.S. officials said the halt in operations included drone strikes, at least temporarily, following the abrupt resignation of the president, prime minister and cabinet amid mounting fears the Arab world’s poorest country was veering toward civil war. The U.S. move underscores another setback for President Obama’s Middle East policy and raises doubts about a counter-terrorism strategy that has relied on drone warfare and often shaky foreign partners to avoid sending large U.S. ground forces to battle militant threats. The collapse of Hadi’s government threatens to upturn Obama’s policy toward a country he hailed just four months ago as a model for “successful” partnerships in the fight against Islamic militancy. Under the peace deal, the Houthi rebels agreed to withdraw their militias from key government institutions if officials take a significant step: rewriting parts of the country’s constitution. Under its terms, the government would accept changes in the draft of the new constitution that would grant the Houthis more political power. Word of the deal still leaves many questions unanswered: What could the reshaped constitution look like? How much power will the rebels get? 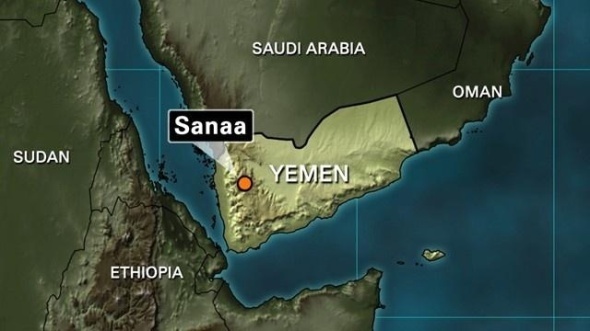 U.S. officials said they’re unclear about the intentions of the Houthis. Do they want to run the government? Or be a powerful opposition? There are currently no talks with the Houthis, but there are discussions about whether to talk to them, according to U.S. officials. Multiple policy options are being considered, the officials said, though there is no consensus yet about how to proceed. Several of the constitutional changes sought by the Houthis would emphasize the characteristics of Yemen as a federal state and push for more inclusion of diverse groups. The Houthis call for marginalized political groups to have the right to partnerships in state institutions and fair representation, according to the text of the tentative agreement. In return for these government concessions, the rebels basically agree to withdraw their fighters from the capital, where they control or blockade several government installations: the presidential palace, the presidential residence, the Prime Minister’s residence and a military installation where missiles are housed. A Houthi official said the rebels would abide by the deal if the President follows a timeline specified in the negotiations for the political process. This isn’t the first time the rebels and the government have hammered out an agreement. Houthis swept into the capital in 2014, sparking battles that left more than 300 people dead in a month. In September, they signed a ceasefire deal with the government, and Houthis have since installed themselves in key positions in the government and financial institutions. SYRIA: WHO ARE THE KURDS? A largely Sunni Muslim people with their own language and culture, most Kurds live in the generally contiguous areas of Turkey, Iraq, Iran, Armenia and Syria – a mountainous region of southwest Asia generally known as Kurdistan (“Land of the Kurds”). Read more at: washingtonpost.com. ISIS (the Islamic State) began its advance on the Kurdish town of Kobani on September 16, 2014, seeking to cement its grip over a long stretch of the Syria-Turkey border. The offensive prompted a mass exodus from the town and surrounding countryside, with some 186,000 fleeing into Turkey. Extremist Sunni Muslim group ISIS has seized large parts of Syria and Iraq, declaring a “caliphate” in June 2014 and imposing its harsh interpretation of Islamic law. The group has been accused of carrying out widespread atrocities including attacks on civilians, mass executions, beheadings, abductions, torture and forcing women into slavery. The U.S. first launched air strikes against IS in Iraq in August 2014. Britain and France joined the strikes in Iraq and five Arab nations — Bahrain, Jordan, Qatar, Saudi Arabia and the United Arab Emirates — have taken part in the Syria raids. The U.S. says it wants to train and equip non-jihadist groups to fight Islamic State elsewhere in Syria, but fighters say there is uncertainty surrounding the plans. The recapture raises the question of what Islamic State will do next. Its fighters halted a westwards advance in the countryside north of Aleppo in September when it launched the offensive against Kobani. “The entire city is liberated. The clashes will start now in Kobani’s villages,” said Perwer Mohammed Ali, a journalist from the town who was at the frontline with the YPG. However, an official in Kobani told Reuters that half the town, known as Ayn al-Arab in Arabic, had been completely destroyed and much of the rest had suffered damage. Idris Nassan said the place lacked water, electricity, hospitals and food. “We repeat a call to followers in Europe and the infidel West to target the crusaders in their own lands and wherever they are,” he said, praising recent attacks in Paris, Ottawa and Sydney. For background on Yemen, go to the U.S. State Department website at state.gov/r/pa/ei/bgn/35836.htm.